IAMBLICHUS (Gale, Thomas, Tr.). ΙΑΜΒΛΙΧΟΥ ΧΑΛΚΙΔΕΩΣ ΤΗΣ ΚΟΙΛΗΣ ΣΥΡΙΑΣ ΠΕΡΙ ΜΥΣΤΗΡΙΩΝ ΛΟΓΟΣ.= Iamblichi Chalcidensis ex Coele-Syria, De mysteriis liber. 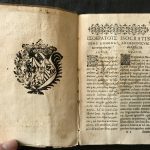 Præmittitur epistola Porphyrii ad Anebonem Ægyptium, eodem argumento. Oxford, E Theatro Sheldoniano, 1678. FIRST EDITION. 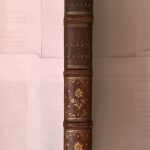 Folio, pp. (xl) 316 (viii), *-2*2 a-h2 A-Z4 Aa-Zz2 Aaa-Nnn2. Roman and Greek letter, some Italic; Greek and Latin in parallel columns. 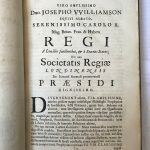 Large title-page vignette of the Sheldonian Theatre. Some light browning and spotting throughout. Ex libris on front pastedown of Richard Fort, lord of the Read Hall manor, Lancashire, during the beginning of C19th; another unidentified bookplate, probably French, with initials “C. E. De M. K.”. 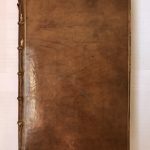 In early gilt-ruled polished calf over boards, joints (especially the upper one) somewhat worn and rugged, gilt lettering to decorated spine in compartments with raised bands, marbled pastedowns and fore-edges. Covers and corners a little rubbed, leather repair to lower corner of rear board. An excellent, crisp and clean copy. 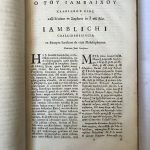 This is the first edition of Iamblichus’s De mysteriis, provided with a Latin translation by the English Classical scholar, antiquarian and cleric Thomas Gale (1636-1702). 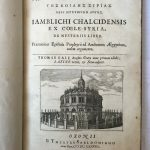 Iamblichus (c. A.D. 250-325) is among the most important of the so-called Neoplatonic philosophers, second only to Plotinus. He was a student of Plotinus’s disciple Porphyry. 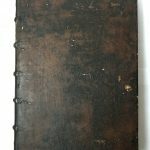 His influential treatise Theurgia, or On the Mysteries of Egypt deals with a ‘higher magic’ which operates through the agency of the gods. 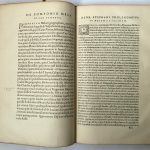 Iamblichus also had a strong influence on other Renaissance authors like Ficino, Pico della Mirandola, and Giordano Bruno. 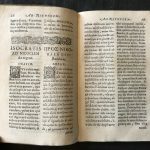 “In 1678 Gale published the editio princeps of the De mysteriis, with fragments of Porphyry’s Epistle to Anebo, Eunapius’s Life of Iamblichus, and a biographical entry from the Suda, a Byzantine lexicon. 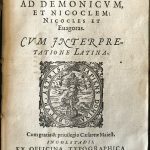 Gale had received an exemplar of the De mysteriis from his teacher, Isaac Vossius, and used this as the basis for his edition. 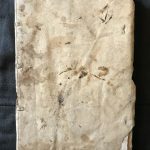 This exemplar is now known as Leidensis Vossianus graecus Q22. 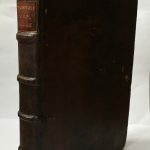 A number of variants given in Gale’s notes, however, are from codices regii (Paris), given to him by E. Bernard, Professor of Astronomy in Oxford, and by the French scholar J. Mabillon. Gale, who was once Professor of Greek in Cambridge (1666), and later Dean of York Cathedral (1677), had originally planned an edition of all of Iamblichus’s works; only the De mysteriis appeared, and Gale recognised its weakness, including the drastic omission of words and phrases as a result of printing errors. 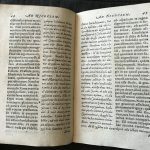 Moreover, Gale’s Latin translation contains many of his conjectures, and does not always follow the Greek text.” Iamblichus: De mysteriis, translated with an Introdction by Emma C. Clarke, John M. Dillon and Jackson P. Hershbell, 2003, p xiv. ESTC R13749; Wing (CD-ROM, 1996), I26, Madan, III, 3179. 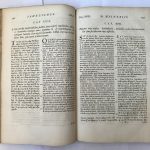 [Geneva], Excudebat Henricus Stephanus, 1577. 4to, (viii) 158 (xxiv) 47 (i) 152, ¶4 a-v4 ¶4 ¶¶4 ¶4 A-2B4. Greek and Roman letter, a little Italic. Decorated initials, headpieces, Estienne device on title page [Schreiber 18], double- and single-column text alternation. 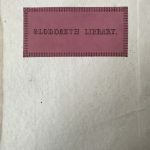 Gloddaeth library bookplate on front pastedown. T-p little soiled, some light age yellowing and thumb marks on margins throughout. Occasional ms. underlining. 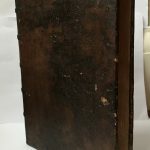 Bound in early full calf over boards, rebacked, somewhat worn on front covers, red morocco label to spine in compartments. A fine copy. 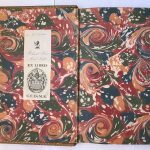 This beautiful edition is a collection of Ancient Greek and Latin texts on geography and cosmography. 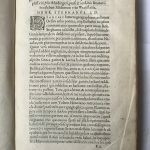 It includes the famous ethno-geographical description of the world written by the historian Dionysius Periegetes, which was first published by Robert Estienne in 1547, who was the father of Henry, the printer of this edition. 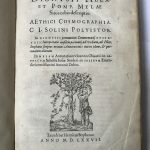 This collection includes Pomponius Mela’s De situ orbis, the cosmography of Aethicus Ister, and Gaius Julius Solinus’s Polyistor, which is a description of the curiosities of the world compiled in Late Antiquity. 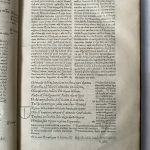 Except for the geographical parts of Pliny’s Historia naturalis, in which Mela is cited as an important authority, the De situ orbis is the only formal treatise on the subject in Classical Latin. This appears here with a commentary by the Spanish humanist Pedro Juan Oliver. 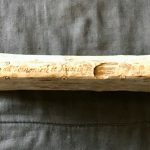 The Polyistor is provided with a commentary by the hand of the Jesuit Martin Delrio. The Cosmography, which was issued under the name of Aethicus, its protagonist, is probably the work of a C8th writer, known as Pseudo-Jerome, who was close to the court historiographers of the early Carolingian period. Dionysius Periegetes came from Alexandria and is believed to have written his description at the time of the Roman Emperor Adrian. Renouard, 145; Brunet II, 729; Adams D648; Chaix, 89; Schreiber, Mouson dôra, n°50.